Hawaiian Baritone Quinn Kelsey is in demand for the Verdi, Puccini and French repertoires in houses such as the Metropolitan and San Francisco Operas, the Lyric Opera of Chicago, the Opernhaus Zurich and the Oper Frankfurt. Quinn Kelsey’s 2014-2015 season includes returns to the Metropolitan Opera as Marcello in La Bohème, to the Lyric Opera of Chicago as Count di Luna in Il Trovatore, to the Opernhaus Zürich as Germont in a new production of La Traviata and makes his debut at the Santa Fe Opera in his signature-role of Rigoletto . He will also appear in concert and recital in Chicago and Oslo. Future projects include returns to the Metropolitan Opera, the Lyric Opera of Chicago, the San Francisco Opera, the Opernhaus Zürich, the Canadian Opera Company and debuts at the Royal Opera House, Covent Garden and the Opéra National de Paris, all in leading roles. Mr. Kelsey’s last season included a revival of Verdi’s Les Vêpres Siciliennes at the Oper Frankfurt, a debut in Seoul, Korea as Germont in La Traviata and the baritone’s returns to the Lyric Opera of Chicago and the San Francisco Opera in that same role. Quinn Kelsey returned to the English National Opera in London in the title-role in Rigoletto. Later in the season Mr. Kelsey added two exciting new roles to his repertoire: Sancho Pança in Massenet’s Don Quichotte at the Canadian Opera Company and the title-role in a new production of Verdi’s Falstaff at the Saito Kinen Festival conducted by Fabio Luisi. Prior to that, Mr. Kelsey began the season with a new role, Paolo in Simon Boccanegra at the Lyric Opera of Chicago and at the Teatro dell’Opera in Rome before making his debut at the Opernhaus Zürich in the title role of a new production of Rigoletto directed by Tatjana Gürbaca and conducted by Fabio Luisi. Later he made his company and role debuts with the Oper Frankfurt as Guy de Montfort in a new production of Verdi’s Les Vêpres Siciliennes. Earlier in the season, Quinn Kelsey returned to the Nashville Symphony for Mahler’s Symphony No. 8 and to Oslo for a solo recital. Prior to that, Quinn Kelsey made his debut at the Canadian Opera Company in the title-role in Rigoletto, followed later in the season by another debut in Canada: Amonasro in Aida with the Vancouver Opera. He returned to the Lyric Opera of Chicago and Hawaii Opera Theatre as Amonasro and to the San Francisco Opera in a new role: Ezio in Attila. He made two house debuts in Germany; first at the Deutsche Oper Berlin as Enrico in Lucia di Lammermoor and later as Luna in Il Trovatore in Dresden. In concert he performed the Fauré Requiem with the San Diego Symphony. Prior to that Quinn Kelsey made his much-anticipated debut as Rigoletto with the Norwegian National Opera, returned to the Metropolitan Opera as Monterone in the same opera and to the San Francisco Opera for both Sharpless in Madama Butterfly and Amonasro. In concert, Mr. Kelsey appeared in Messiah in Nashville and in recital in Omaha. In the summer he performed a new role: Athanaël in Thaïs with the Edinburgh Festival and Sir Andrew Davis. Other recent projects included his role debut as Count di Luna in Il Trovatore with the San Francisco Opera, followed by The Cunning Little Vixen with Seiji Ozawa at the Teatro Comunale in Florence and his New York City Opera debut as Sharpless in Madama Butterfly. In the summer of 2010, he returned to the Bregenz Festival for Amonasro in Aida. Mr. Kelsey was also heard in recital in Honolulu. Quinn Kelsey made his debut at the San Francisco Opera as Marcello in La Bohème and added two roles: Germont in La Traviata with Opera Memphis and Valentin in Faust with Opera Grand Rapids. In the summer of 2009 Mr. Kelsey made his European debut as Amonasro in Aida with the Bregenz Festival. In concert, the Hawaiian baritone was heard in works by Leonard Bernstein and as the Baritone Soloist in Mahler’s 8th Symphony with Michael Tilson Thomas and the San Francisco Symphony, which was released commercially. Quinn Kelsey was also the Baritone Soloist in Beethoven’s 9th Symphony and in Orff’s Carmina Burana with the Honolulu Symphony, as well as the Baritone Soloist in Mahler’s 8th Symphony with the Milwaukee Symphony and he returned to San Francisco in a solo recital, as part of the celebrated Schwabacher Debut Series. 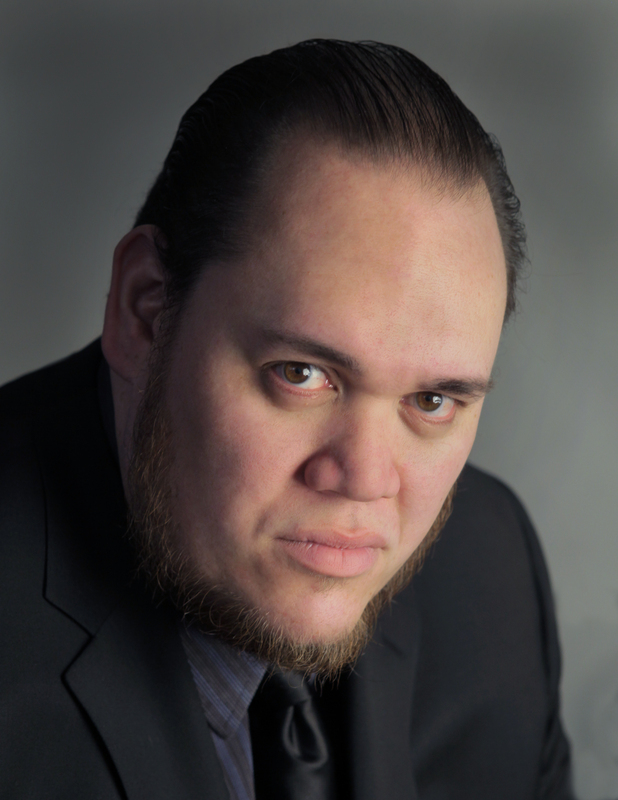 Previously Mr. Kelsey had a successful debut at the Metropolitan Opera as Schaunard in La Bohème followed by his first Enrico in Lucia di Lammermoor with Madison Opera. Quinn Kelsey appeared in concert with the Grant Park Music Festival as the Bass Soloist in Szymanowski’s Stabat Mater. Another exciting event was the baritone’s debut at the Saito Kinen Festival in 2008 as the Forester in Janacek’s The Cunning Little Vixen with Seiji Ozawa conducting. In past seasons Quinn Kelsey sang Marcello in La Bohème, the Messenger Spirit in Die Frau ohne Schatten, Ping in Turandot with the Lyric Opera of Chicago. Other appearances at the Lyric Opera included Wagner in Faust (for the baritone’s house debut), Monterone in Rigoletto, Yamadori and the Registrar in Madama Butterfly, the Forester in The Cunning Little Vixen and Morales in Carmen. He also returned to Hawaii Opera Theater for the role of Sharpless in Madama Butterfly and was heard in recital at Carnegie’s Weill Recital Hall and at the Kennedy Center under the auspices of the Marilyn Horne Foundation and on their “On Wings of Song” Series in New York City, as well as in Los Angeles at the Cerritos Center in the Jose Iturbi Recital Series. In concert, Quinn Kelsey sang the baritone solo in Carl Orff’s Carmina Burana with Carlos Kalmar and the Grant Park Music Festival. Other engagements included Ping in Turandot with Hawaii Opera Theater, the Lyric Opera of Chicago’s 50th Anniversary concert celebration and Marilyn Horne’s Birthday Gala at Carnegie’s Zankel Hall. Mr. Kelsey appeared as Montano and the Herald in Verdi’s Otello at the Ravinia Festival with James Conlon. In concert, Quinn Kelsey has performed Beethoven’s Ninth Symphony, Duruflé’s Requiem, Handel’s Messiah, Fauré’s Requiem, Mozart’s Requiem, Menotti’s Amahl and the Night Visitors, Rutter’s Requiem, Beethoven’s Mass in C, Thompson’s Peaceable Kingdom, Haydn’s Lord Nelson Mass and Creation, and Puccini’s Messa di Gloria with major orchestral and choral organizations throughout Hawaii, including the Honolulu Symphony and the Maui Symphony as well as the Chicago Youth Symphony and the Chicago Children’s Choir. Mr. Kelsey first performed with Hawaii Opera Theater as a teenaged chorus member and has since returned as a principal artist, appearing as Melot in Tristan und Isolde, Yamadori in Madama Butterfly, and most recently Marcello in La Bohème, a role he has also performed with the Merola Opera Program and the Western Opera Theater tour. Most recently Mr. Kelsey won a Richard Tucker Foundation Career Grant (after winning a Sarah Tucker Study Grant) and was a finalist of the 2004 Placido Domingo Operalia Competition. In 2003 Quinn Kelsey won a Scholarship from the Solti Foundation of Chicago. Born and raised in Honolulu, Hawaii, Mr. Kelsey received his Bachelor’s of Music degree in Vocal Performance from the University of Hawaii at Manoa under John W. Mount.